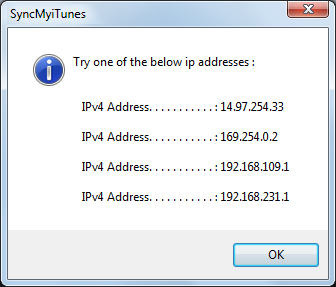 IMP : Firewalls can block the software on system.make sure that you either turn off the firewall temporarily or add UploadToPC.exe as an exception to your firewall. In order to connect via Wi-Fi,your PC and Playbook should be connected to same Router using Wi-Fi.Make sure that your Playbook's Wi-Fi is on and it is showing that it is connected to the Network.You can see the status by tapping on the Wi-Fi icon of your Playbook.The best check will to make sure that you can browse internet on both your Playbook and PC using the same router connection(same Wi-Fi network connection). Setting up a cable connection is far easier than setting up Wi-Fi.You just have to connect Playbook using USB cable.Once the connection is made,you will get a message on your Playbook saying that the Playbook has beeen connected to the PC. Note : make sure that you have all necessary drivers of Playbook installed on your system that are required for the connectivity. 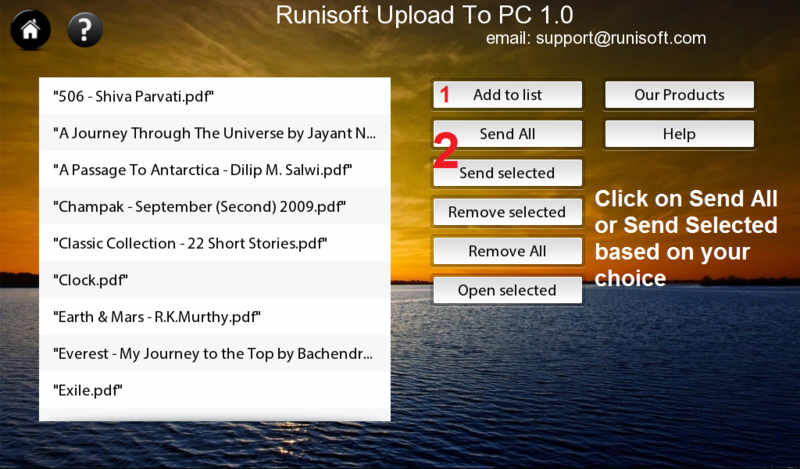 Note : In order to send selected items,please tap on the file names.Once selected,the selected files will appear in Blue color. 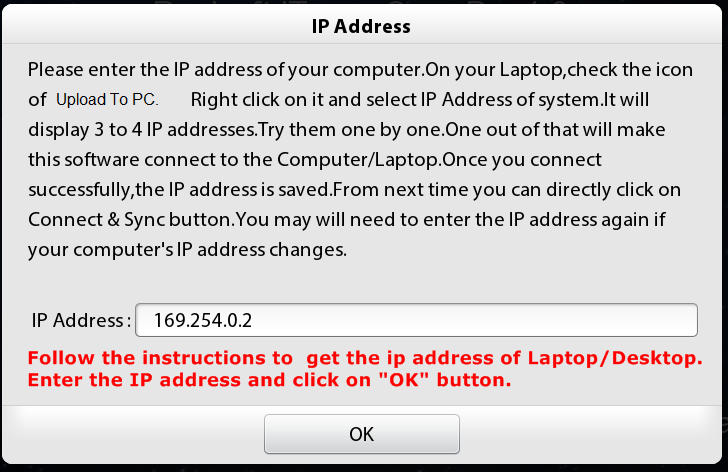 Step 3: It will ask you to enter the IP address of your PC as shown in the image below.